A new report co-authored by a City academic shows that many bodies of missing migrants in the Mediterranean are never identified. In 2015 and the first half of 2016, more than 6,600 refugees and migrants drowned or went missing in the Mediterranean after their boats capsized while trying to reach Europe. However, Dr Iosif Kovras, Senior Lecturer in the Department of International Politics and the Co-Investigator in the study, says governments are not doing enough to identify victims. As reported by BBC News, the report details the findings of the ESRC-funded Mediterranean Missing project, which was launched as part of a wider £1 million ESRC research programme, in response to the ongoing humanitarian crisis. Dr Kovras said: “On the one hand, this is a novel and complex type of humanitarian challenge that transcends the border of a particular state – for every person that is washed ashore in Lesbos or in Sicily, there is a family looking for him or her who could be anywhere, from Syrian and Afghanistan to another European state. This creates a complex issue and any effective solution requires inter-state cooperation. Over a period of 12 months, Dr Kovras was part of a team of researchers who worked on the Greek island of Lesbos (where the City academic is originally from) and in Sicily, Italy. They looked at how the authorities deal with the bodies of migrants by interviewing a range of relevant actors, including: local authority employees; NGOs; coastguards; coroners; funeral office staff, and families of missing migrants from Tunisia, Syria and Iraq. The two case studies, in Greece and Italy, were chosen as they are the two main entry points for migrants and refugees into Europe and where a large number of boats carrying migrants have sunk in recent years. Dr Kovras became involved in the project through his main research focus on the management of missing persons in post-conflict societies. The academic was a key figure throughout all stages of the project and led the dissemination activities in Greece, with two workshops involving policymakers and NGO members in Lesbos and Athens. The main problem identified by the researchers was a lack of coherent and coordinated policy concerning deceased migrants in both Greece and Italy. A “policy vacuum” at the national level means that local municipalities and authorities are overwhelmed and are not provided with the capacity or financial resources to deal with the nature and volume of the humanitarian crisis. As a result, the researchers say efforts to determine the identities of dead migrants have been insufficient. There are a large number of agencies with overlapping mandates that fail to coordinate with one another, leading to no-one being sure who is responsible for what. The different state and local agencies involved have little support from national governments or from the EU. And the economic crisis in Greece has further stretched its resources. According the study, official investigations were limited and often flawed. Personal effects of refugees found on the beaches were not systematically collected or stored to support identification, and survivors of shipwrecks were not systematically interviewed about those who had died. It was also found that there were problems in the management of data from bodies. For example, in Italy every region stores data independently. In Greece even though DNA samples are taken from dead bodies and stored centrally, there is no way of linking most bodies buried in a Lesbos graveyard to a DNA sample held in Athens, because until recently bodies have not been consistently labelled. Another problem is the lack of an international mechanism to exchange data on deceased migrants and from missing persons, such that these data can be matched to make identifications. The researchers say this means is there is no point of contact in Europe for family members looking for a loved one who might have died crossing the Mediterranean. An additional barrier is that families searching for missing people are often not even able to travel to European states to identify their relative. Trying to get a visa to enter the EU is difficult, and there is no such thing as a humanitarian visa. The authors suggest a number of measures with which states can improve their procedures for identifying those who have drowned at sea. 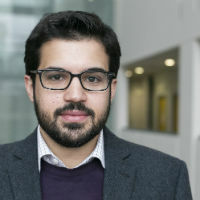 Dr Simon Robins, lead author of the report and a Senior Research Fellow at the Centre for Applied Human Rights at the University of York, said: “We believe that Italy and Greece have a legal duty to investigate, as well as a moral obligation to the families of those who have died, which isn’t being met. “More effort also needs to be made to reach out to missing migrants’ families. Involving families would help investigators make identifications, as they could collect data from the family that could be matched to that taken from the bodies of the deceased.